Bengaluru’s air story is one of unchecked air pollution, ever increasing dust and air quality issues. 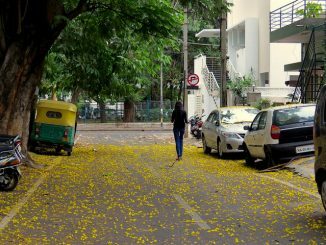 Bengaluru’s Airpocalypse: Air pollution Problems & Solutions is a workshop that brings experts to answer key questions like: What is happening to Bengaluru’s air? From vehicular smoke ro garbage burning… How has it impacted our children’s and our health? What are some of the government policies and actions that are having an impact on the quality of air? And what can we do – as individuals, and as a collective? The workshop is hosted by the Karnataka State Pollution Control Board and supported by Electronics City Industries Association (ELCIA). It is organised by the Co Media Lab (a joint initiative Radio Active CR 90.4 MHz & Citizen Matters initiative); Co organisers include Society for Community Health Awareness, Research and Action (SOCHARA) and Breathe Bengaluru, a collaboration between Sensors Without Borders and Sensing Local. “Bengaluru’s Airpocalypse: Air pollution Problems & Solutions” will be held at the KSPCB, Parisara Bhavan, Church Street, on Saturday 18th March, 9:30 am to 3pm. This workshop is open for all and free, meant for all citizens and media interested in learning and working towards solutions to Bengaluru’s air pollution issues. Register here: http://bit.ly/Blrairpollutionworkshop. Do check our Facebook page (https://www.facebook.com/events/1855450654694477/) for more information about this workshop. The event includes films, talks and discussions with well known experts and city leaders. Panelists include senior officials from KSPCB – Shri Lakshman, (Chairman, KSPCB) and Dr. Jaya Prakash Alva (KSPCB) and others. Dharmesh Shah works as an environmental policy advisor at the Centre for Technology and Policy (CTaP), Indian Institute of Technology, Madras (IIT Madras). His research areas include waste management, environmental health, circular economy and community science. He also works with the Global Alliance for Incinerator Alternatives (GAIA), a global network of waste management experts and frontline communities working on alternatives to the disposal culture. Pawan Mulukutla is responsible for WRI India’s transport program in Bengaluru. He works with various stakeholders and transport agencies to provide technical support, sensitizing sustainable development and build capacity. He coordinates the technical support for city bus service operations, feasibility and implementation of Bus Rapid Transit (BRT) systems, parking policy reforms and corporate road safety. Dr Paramesh – Senior Pediatric Pulmonologist with Lakeside Hospital. Besides his long clinical experience of child respiratory health, Dr Paramesh has been involved in asthma research, and has also contributed to national and international platforms on the topic of air pollution and school environmental health. The Society for Community Health Awareness, Research and Action (SOCHARA) is a registered Society based in Bangalore. It is a resource group of community health practitioners and have been involved in various issues relevant to health and healthcare all over India (and also globally) for more than 30 years. SOCHARA has also been involved in training over 300 young people from all over India in a masters level programme in community health. An important approach to work has been through building networks for action. For more information, please see the website: http://sochara.org/ . 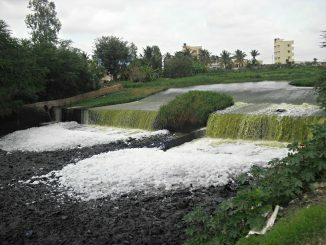 A not-for-profit initiative working on public interest environmental issues such as air pollution in Bangalore. In the last 10 months, the team has conducted pilots in Chennai and Bangalore along with its partners. 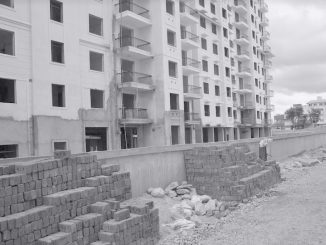 The pilots eventually led to the formation of – Breathe Bengaluru project, a holistic approach to air quality study which takes into account all kinds of data starting from sensors, atmospheric/climate data, urban behavior and health patterns. Our partners include Sensing Local, St Johns Medical College, Bangalore and academic researchers from USA and UK universities.